I guess the ball is in our court. 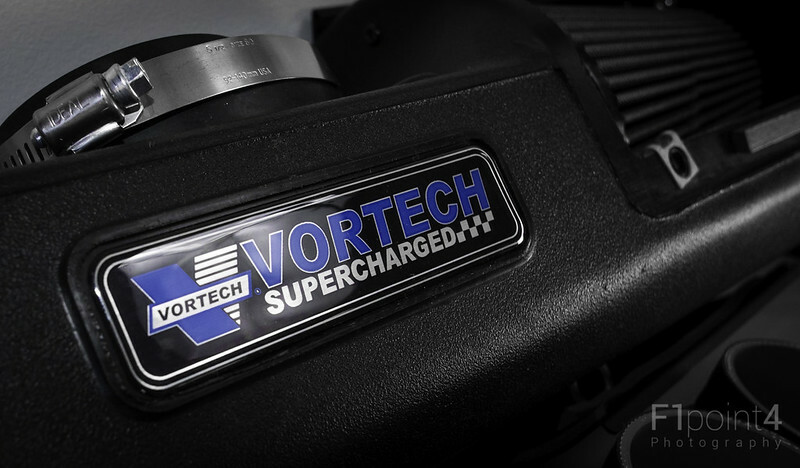 Here's where we will document all progress on the Vortech installs and the long term results. Expect updated for new pullies, tunes, general maintenance, etc. 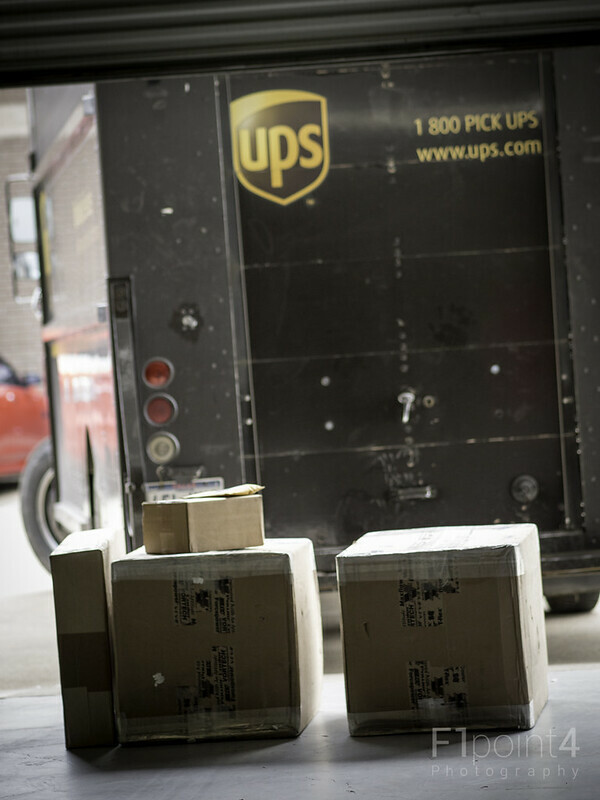 2/28 - Supercharger arrives. Layout, photos, begin work after shop hours. 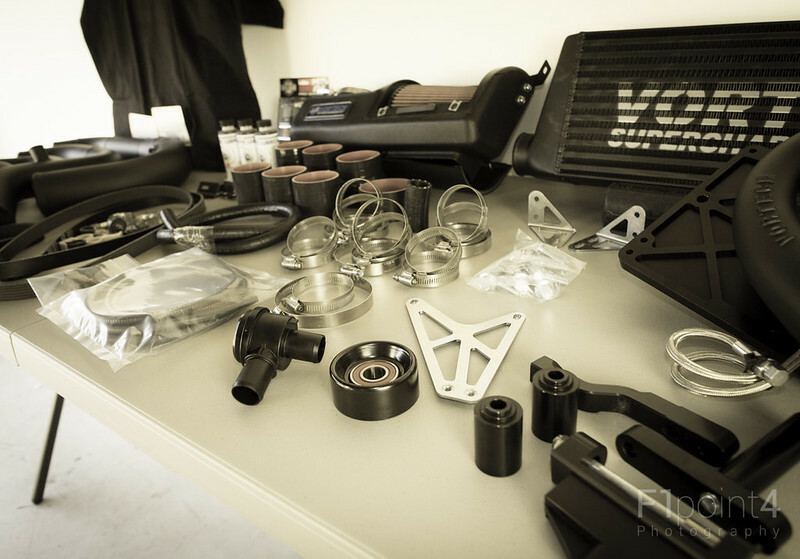 ^V Nguyen (f1point4) laying out his kit for inventory/pictures. 3/1 - Continue work on shop car. 3/4 - My bday! I'll try to add some things as the day goes on. Lots of stuff to do in general. The community should get some good feedback of how this install goes from a "normal" person's perspective. 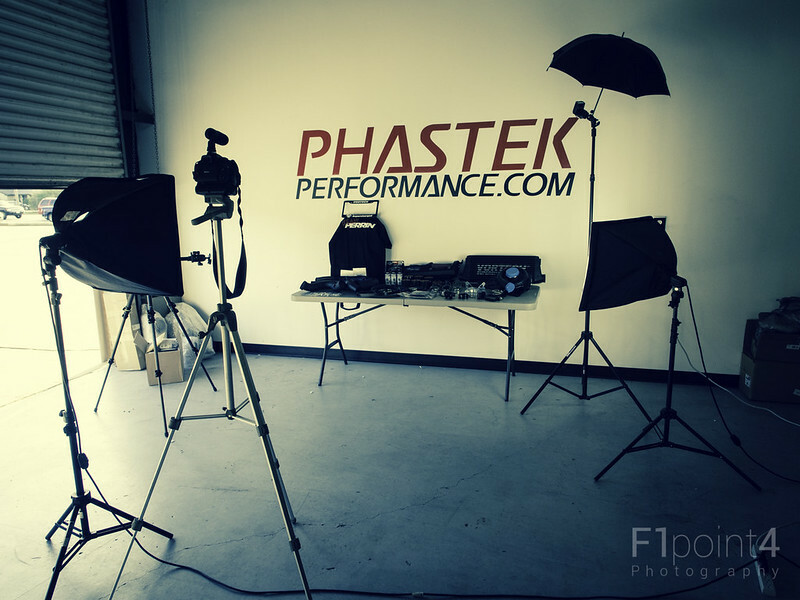 On the average day at Phastek, I work on adding products, take some sales calls, and address any network/computer issues. All the installs are handled by techs. 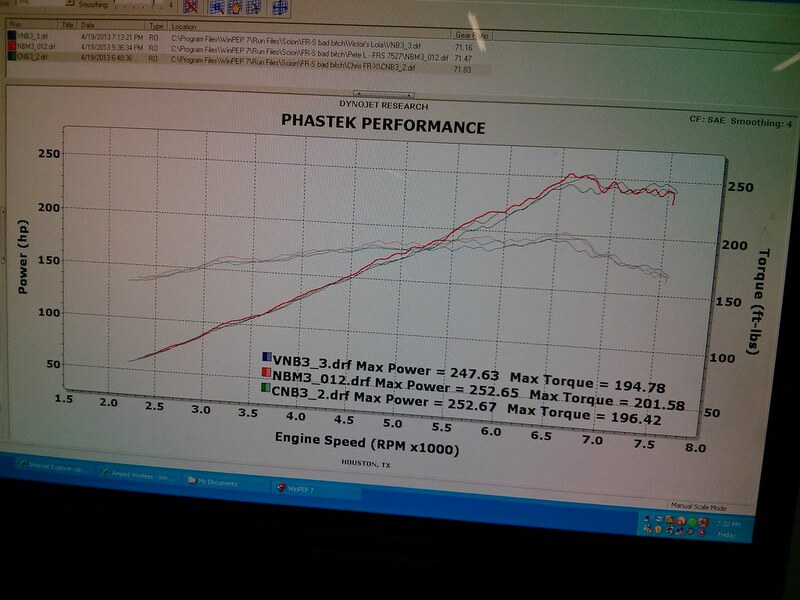 The car feels great and the claimed gains were seen on the dyno (Dynojet 224x). I do feel that anyone with a basic set of tools can get through the install. The DIY tutorial Victor is working on will layout all the tools we utilized. Having a buddy around helps out a lot. Set aside a good block of time though. 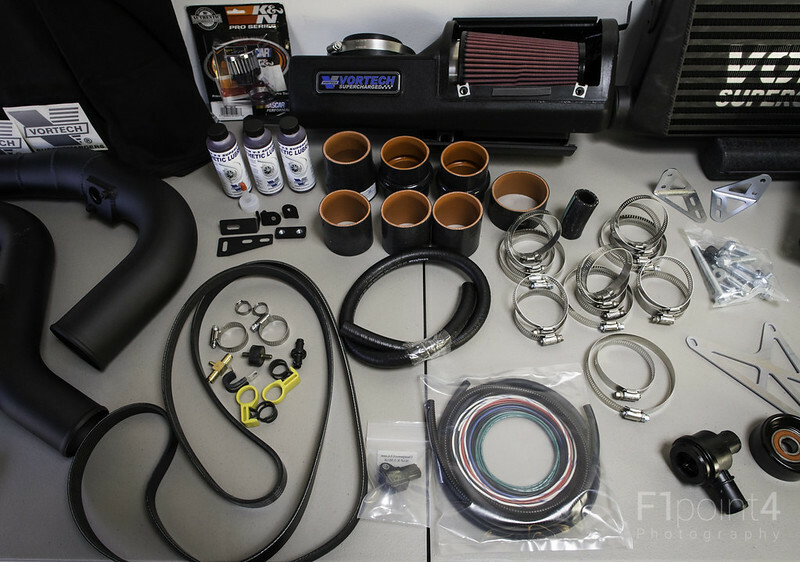 Supercharger kits are not catback exhausts. They require more time! As far as hiccups, there were just a few. We have 2 out of 3 installs down, so we're noting the minor issues which occurred on both installs first. 1) The first thing we noticed after using a dremel to grind down the boss on the alternator (as directed), was that the bracket needed a little off the back end shaved off. This was the only way we could get the bolt to thread. We're talking about a mm on the edge, tapered towards the center. Pictures will show this in detail. 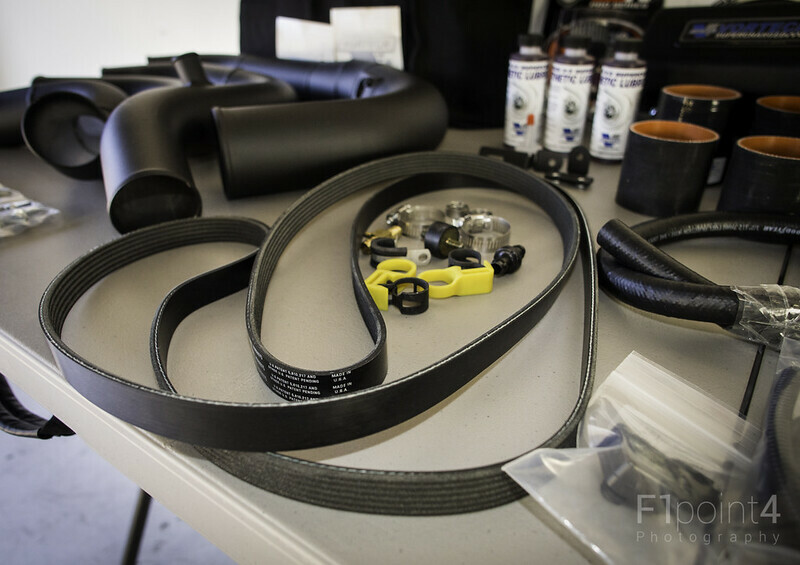 2) We substituted out one of the hose clamps for the original throttle body clamp. Just keep you spare parts around during the install. The kit does reuse just a few parts. 3) Might need to recheck the windshield washer tank (new). There does appear to be a slight leak. Some thread tape might resolve this. Not so much an issue as an observation. The intake pipe does touch the hood pad. Our bumper has been taken off a few times. Just be careful. There are many DIY tutorials. I've made some modifications to get the gap down between the fender and the top of the bumper on the sides. I'll post those up later. This will help those who have damaged tabs. This is a nice, clean install. We have known that since SEMA though :-). Before was with a Perrin headerback (no resonator, no cat). No other mods performance wise. The only thing that changed between that run was the tires (215s -> 245s). The car really benefits from the added power. Drives like stock until you get into it. Nothing that really upsets the balance of the vehicle. A lot of commentary / video will be added after the track event @ TX2K13. Expect this thread to grow a lot over the week. Right now it's just something I'm dumping my thoughts into so I don't forget. 3/6 - Finished Pete's Install. He came a day later than he originally planned. 3/10 - Did revisit old private road for one higher speed run. Previously only taken up to redline in 5th which was around 130-131. Ran out of pavement and knew that it would take a lot more to exceed that speed in 6th. Same stretch with the kit, I claim 139, but the passenger says 140. 3/18 - First run results with a smaller pulley. Perrin map as well (specifically for the pulley). 3/22 Forgot to post new alternator tilt brackets.. The silver portion shows the area that is different. 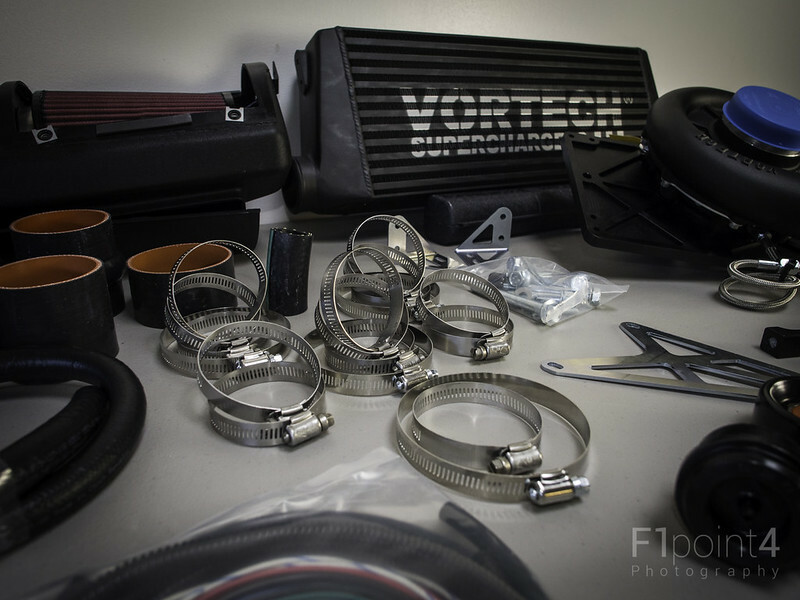 These were sent overnight from Vortech. Last edited by PhastekSport; 03-22-2013 at 09:16 AM. Just a little something to get everyone through their day. Perrin will be getting the small pulley and map to us so there is definitely more to this story. We'll keep on pushing out numbers and media for a while. By Thursday the vehicle will be at Texas World Speedway. 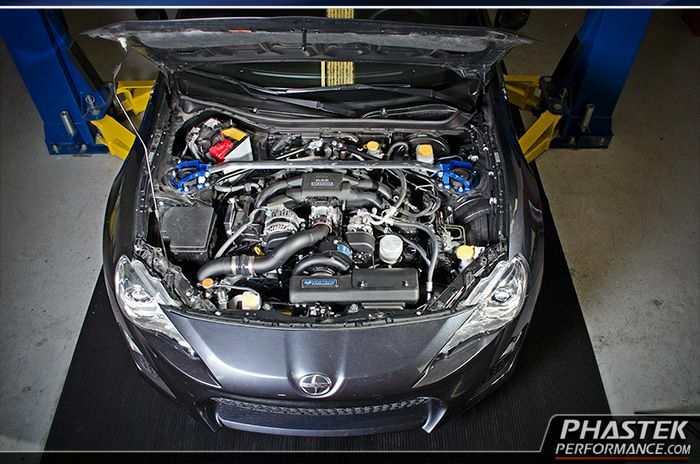 If you guys have the opportunity to track the FR-S/BRZ, I'd ask that you consider it! Lots of fun. I think I've found a new hobby. Yes, this was my first time EVER. 3/6 - New blowers installed Thursday. For better or worse only honest numbers. Haven't drag raced since 2004 but these numbers were pretty consistent. Best trap speed and best ET shown. Stock pulley on new blower. 3/4 tank of gas, some junk in the trunk, Perrin 92 map (map 3). Only have the Perrin headerback exhaust, 5zigen FN01R-C 17x8 (38 offset), and Bridgestone Pole Positions S04 - 245/40/17. Dropping it at any RPMs it seems equals wheel hop. These runs reflect what had to be done to get no wheel hop. Any run with wheel hop was 14.3 or over. For reference our tech's Pontiac G8 GT with cold air intake was running 13.94-14.3. 9/22 - Trying out other tunes before injectors + fuel pump and maybe e85. Last edited by PhastekSport; 09-22-2013 at 12:18 PM. It has been a long weekend. More information soon after we get some rest. More feedback to come after I drive it some more. 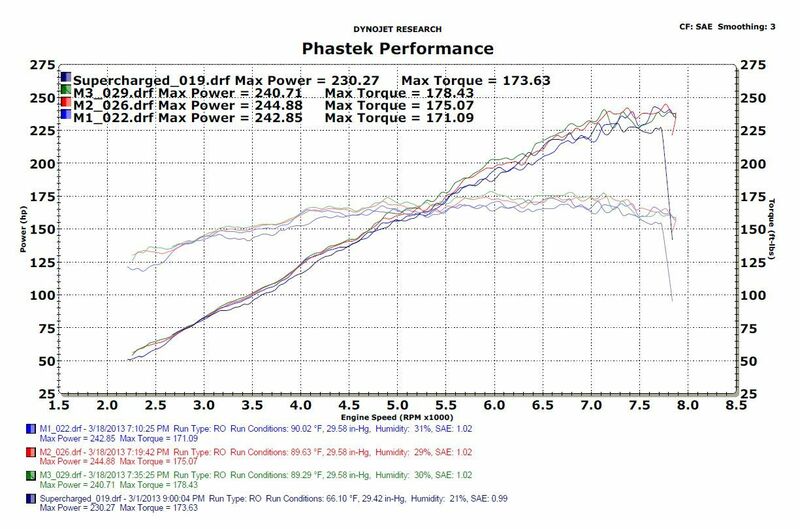 Just taking the numbers for our dyno charts, here are the gains we saw after installing the kit. The most important thing here is that all three of us got consistent gains. 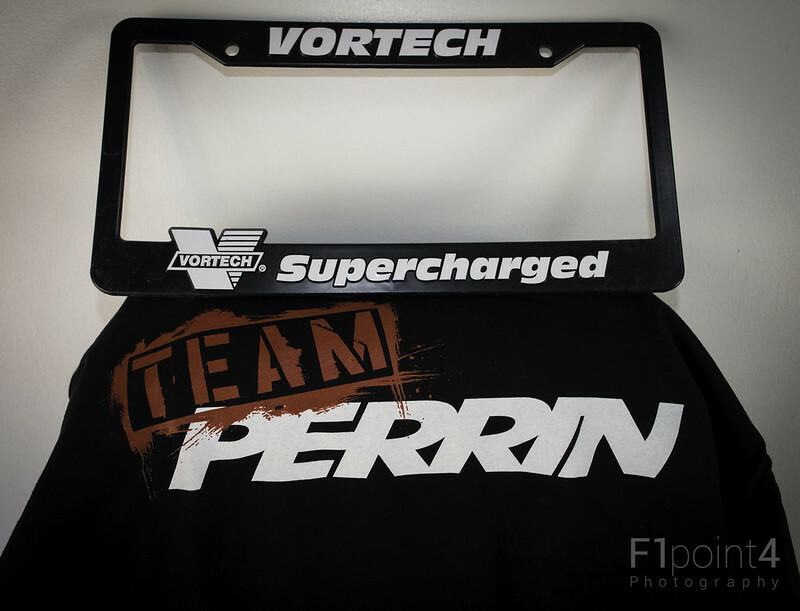 It goes a long way to show the manufacturing prowess of Vortech and the tuning abilities of Perrin! Installation was consistent too. 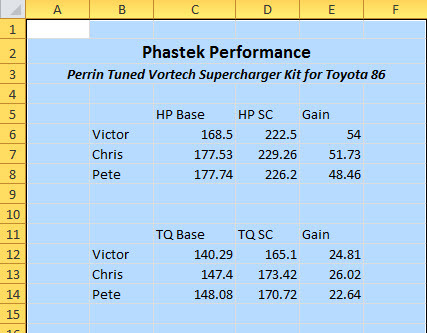 The parts, fitment, etc was pretty consistent across all three vehicles. After 170 mi it was time to do the comparison dyno. +50 whp and +25 TQ. Pretty much what was advertised. Dyno pull in fourth gear. Launch control. He didn't go super quick cause we didn't know what was going on at the other end of the lot. 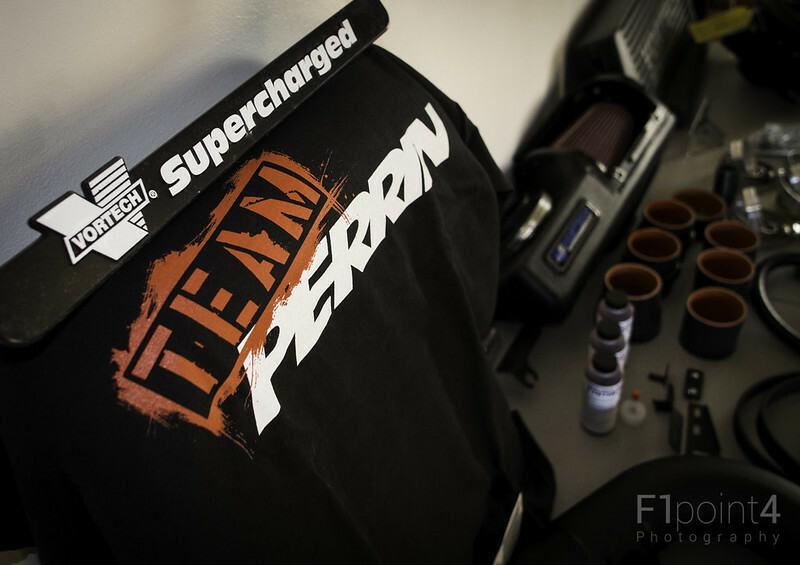 The Perrin unresonated/uncatted headerback is bloody loud. Last edited by F1point4; 03-16-2013 at 01:05 AM. Finally got a chance to visit the backlog of photos! Never too late to share a photo or two. 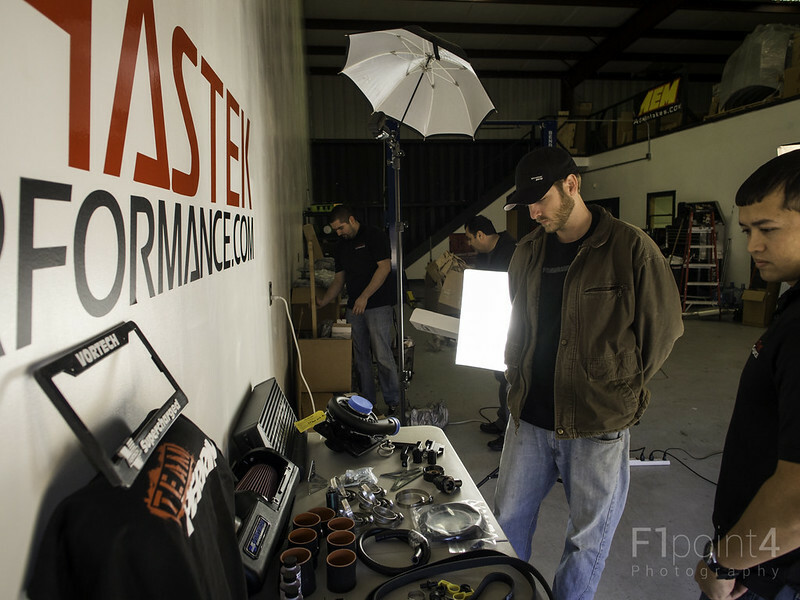 @Chris@Phastek and I hope to show everyone what is included in the kit, so everybody knows what they are getting. 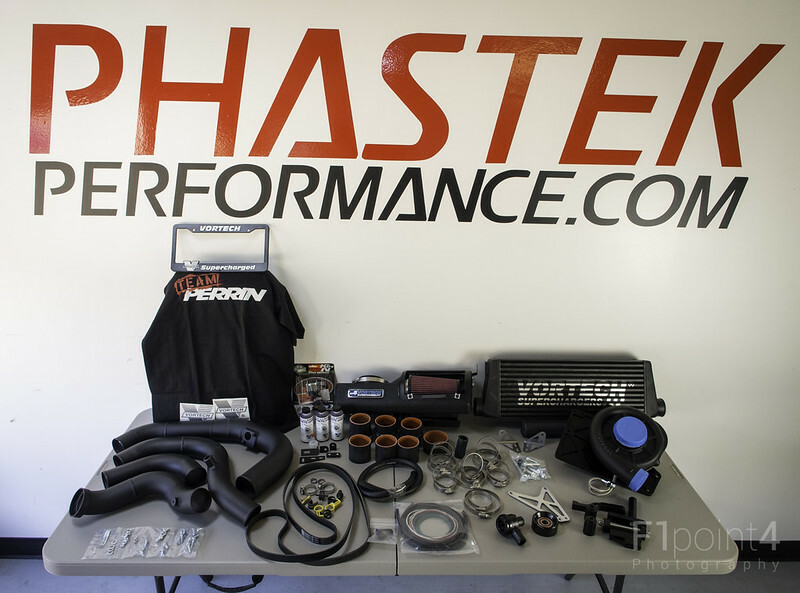 @Brian@Vortech has already announced an upgrade to the kit, but it only affects the blower unit itself. Some feedback will be given on the difficulty of install on the part. Let's get to it. Many Thanks to @Brian@Vortech, @PERRIN_Jeff for developing the kit. Also kudos to @PERRIN_Chris and Molly for excellent customer support. Been a treat working with all of them. Lots of clamps. 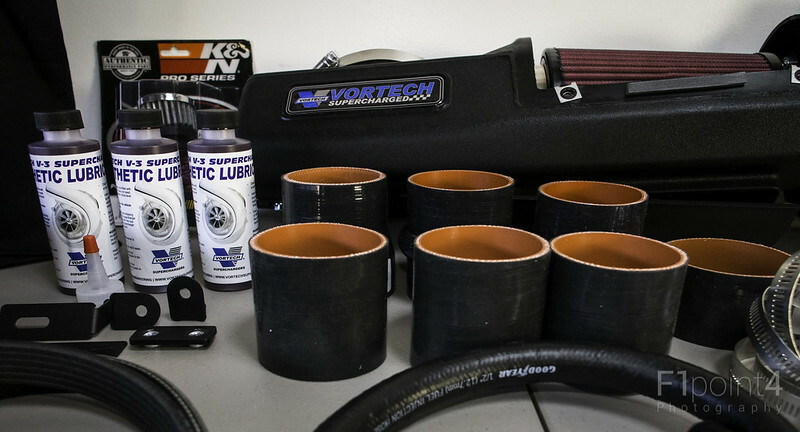 Vortech sends extra which was really nice. We get three bottles of lubricant. Each bottle is good for one change. The normal change interval is 7500 miles. There is a spout to make refilling the blower easy. What I like about this unit is that the fluid to lubricate the blower is self contained. 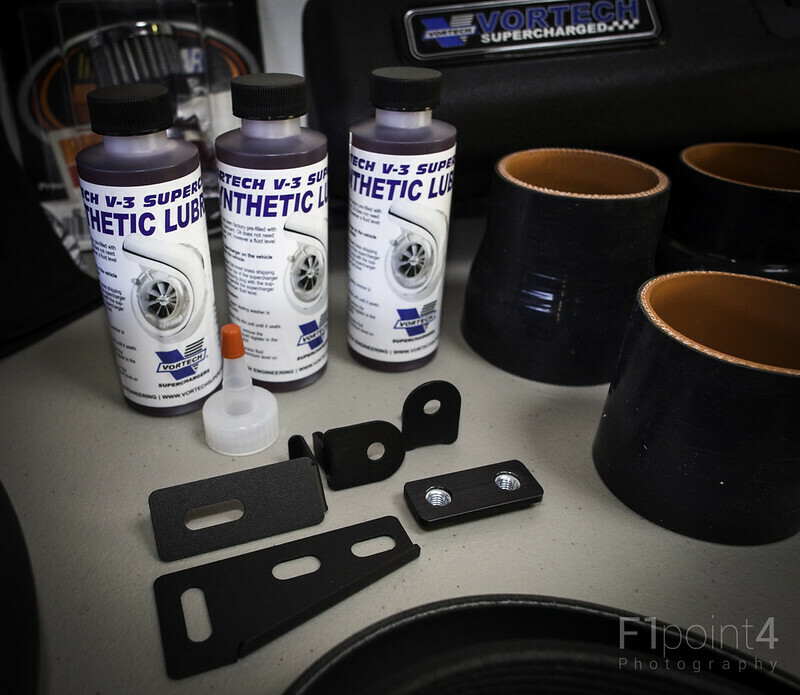 No need to tap into the engine block for oil. Next to the fluid is silicone couplers used to connect the air tubes together. Last the airbox is behind. One of the things we had to do was extend the MAF Sensor wire. 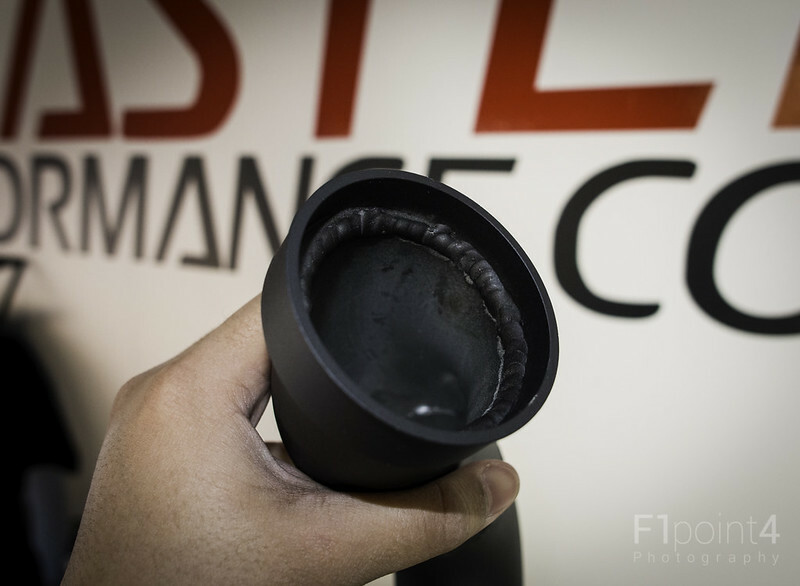 The stock MAF Sensor is at the exit of the stock air intake box. 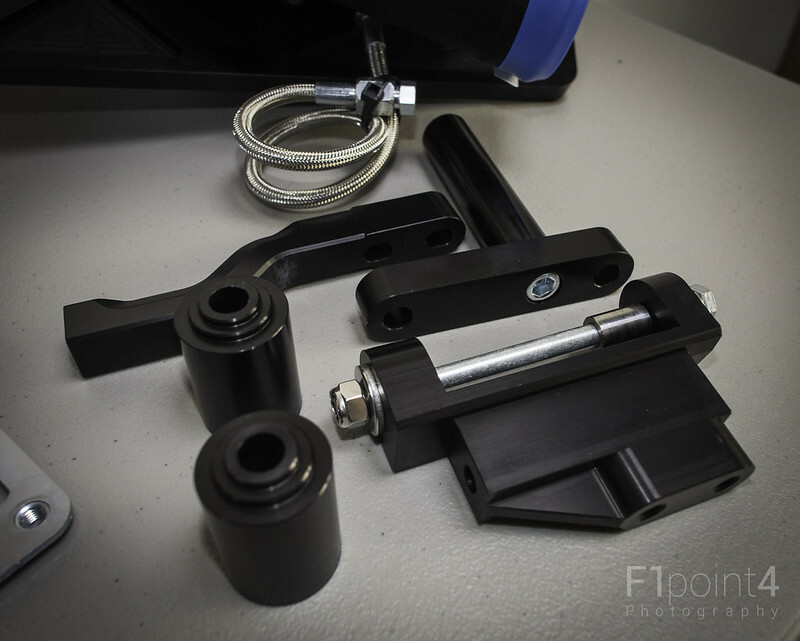 The MAF Sensor in the vortech kit now sits behind the passenger side turn signal. 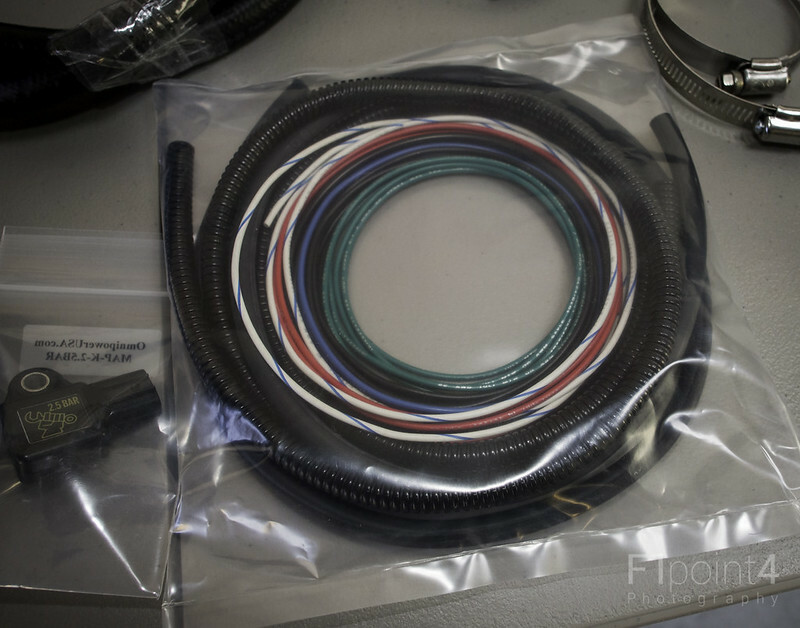 It comes with all the wire and loom so you can solder and protect everything. Your own electrical tape is required to make it look "OEM". To the left of this is the 2.5K Bar Manifold Air Pressure sensor. It plugs into the intake manifold under the Boxer cover. 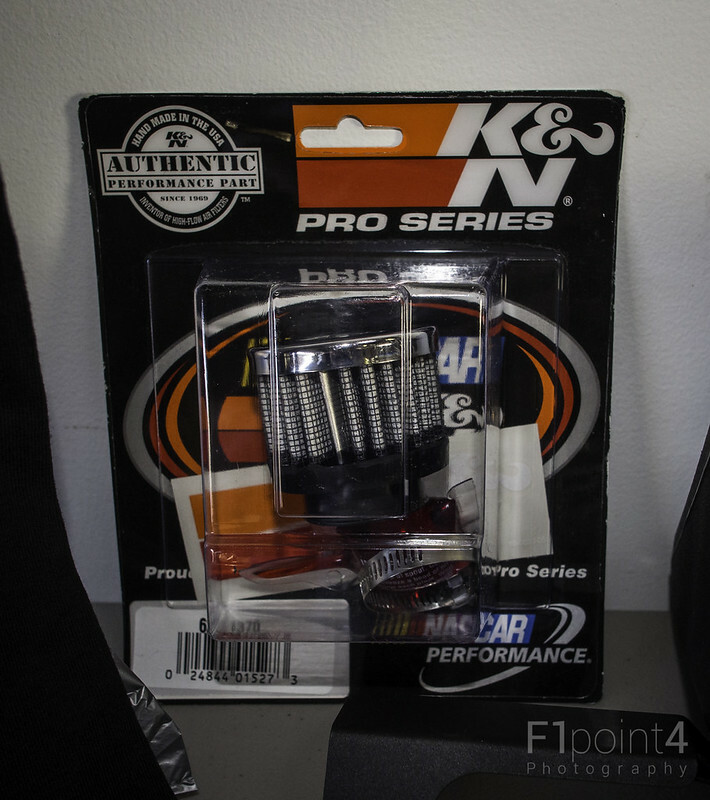 This MAP sensor is not included in the normal kit. 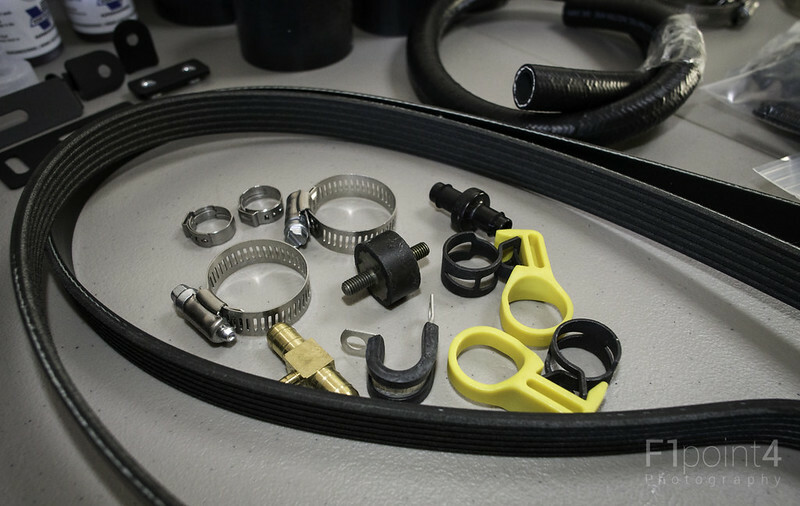 These are assorted clamps and bits to hook up the blowoff valve, poipes, etc. 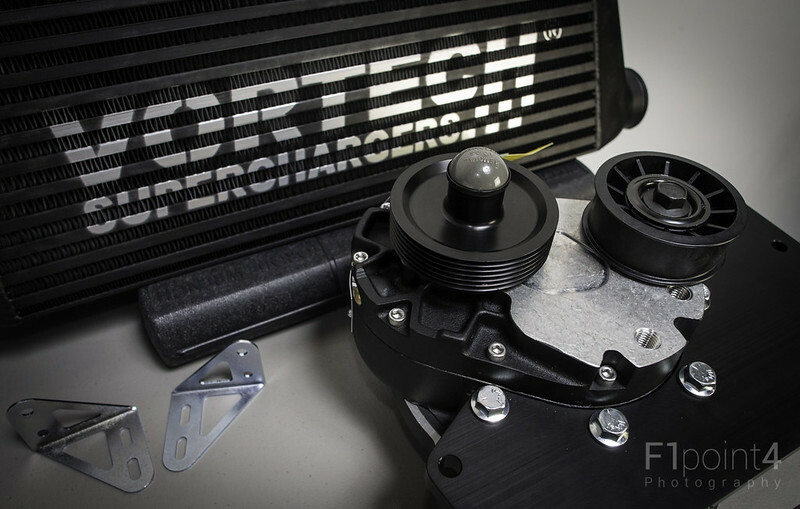 They also included a one way check valve for the PCV system so the charged air doesn't get pushed into the crankcase by accident! Around this is the extended belt. With the blower mounted in place, there is about 2" between the motor and the blower to slip on the belt. Difficult but not impossible. At the top you can see the stainless steel drain hose for the blower. It reaches down past the metal skid pan. Should be cake to drain the fluid. Below these are brackets to mount the blower and spacers for the new pulley. The blower holds on the two new idler pulleys. The lower right bracket is to raise the alternator. As mentioned already this is the old bracket which causes fitment issues. A new bracket has been issued already. 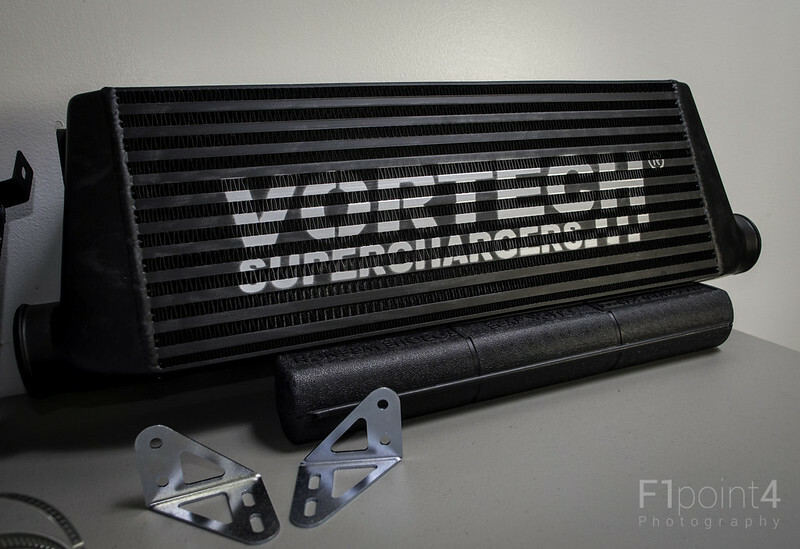 Talked to Brian and Mike at Vortech and they have been nothing but good to me. 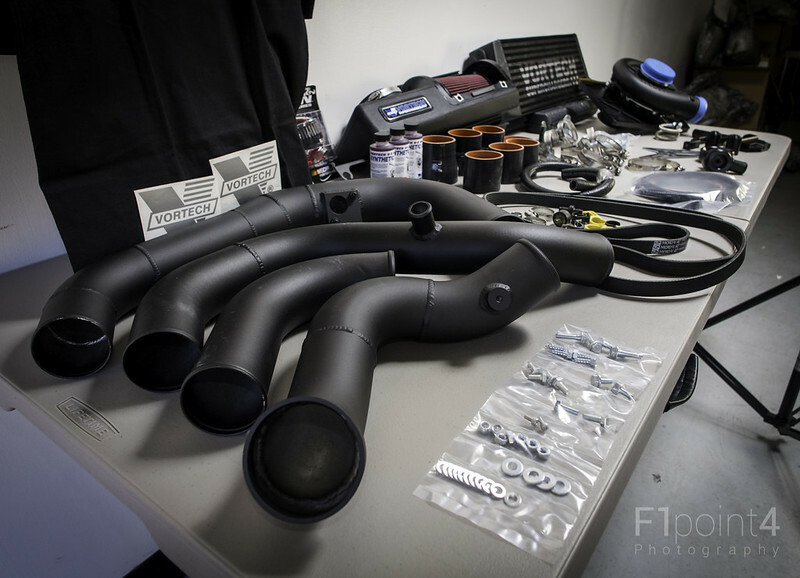 The blower @Brian@Vortech has already announced an upgrade to the kit. All customers should be getting their units upgraded soon. From my discussions with Brian a new higher flow impeller will be installed as well as a slightly smaller pulley. 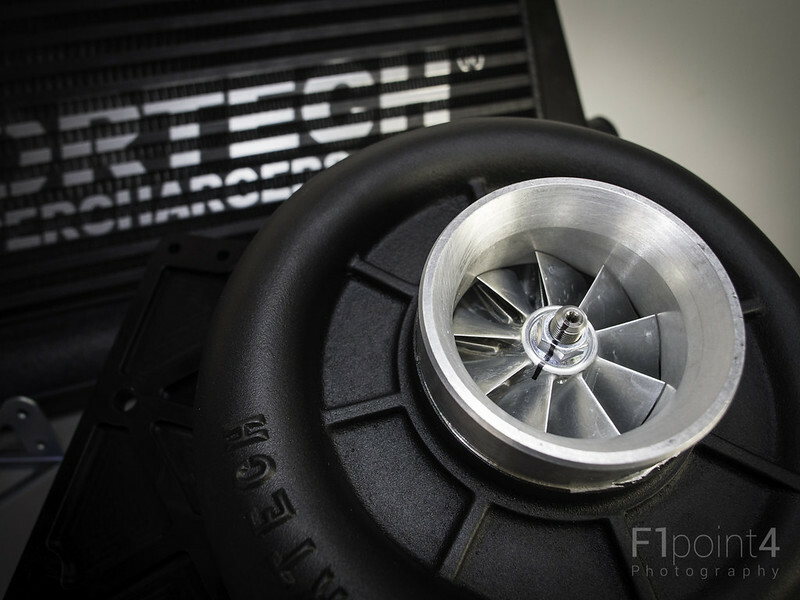 Reports that it will make 9 lbs of boost (up from 7) and is good for close to 300 flywheel HP on 91 pump gas. We'll be sure to test it out once the units come back. I believe the kit is mass produced. This is an example of the welds on the pipe. Not the greatest quality IMO, but since its for air it will be okay. 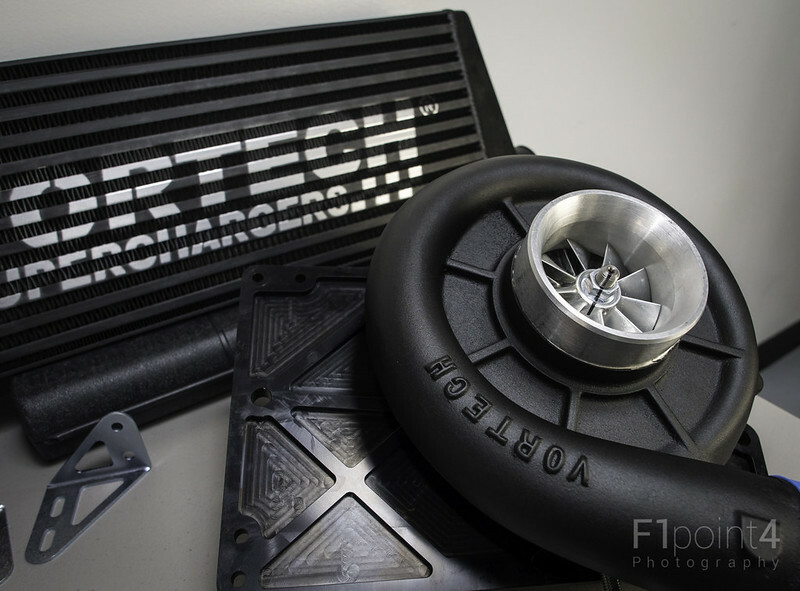 Avid car enthusiast Princeton Wong covered our install on his blog VicariousGear! Check out his thoughts on the link after the break! Last edited by F1point4; 03-27-2013 at 09:59 AM. Last edited by Pete; 03-07-2013 at 12:05 PM. Awesome! The kit is great. Cant wait to see the install. I gotta say, I am eager for results as well. This would be a perfect "make a caption" pics!